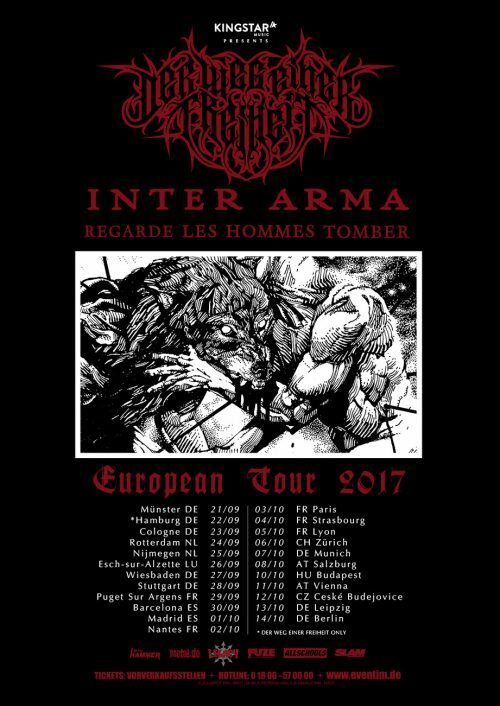 Search Results for "Inter Arma"
Virginia’s Inter Arma have announced a new stretch of European tour dates with Der Weg einer Freiheit. Inter Arma will be on tour starting May 25 with Pallbearer and Gatecreeper. They will start their tour with Der Weg einer Freiheit on September 21 and that tour will run til October 14. 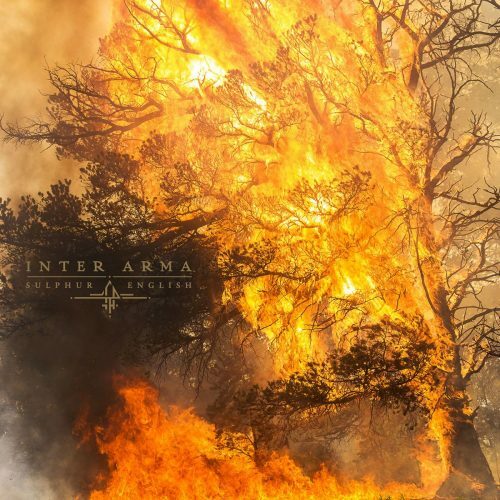 Inter Arma were in my top 5 metal albums of 2016 at #2 behind only Eight Bells Landless and are far and away one of the most exciting and potentially long term future legacy bands in the genre. This band can fill the shoes of some of the greats when they are gone if they keep it true and stay on the fascinating trip they have begun to growing acclaim. 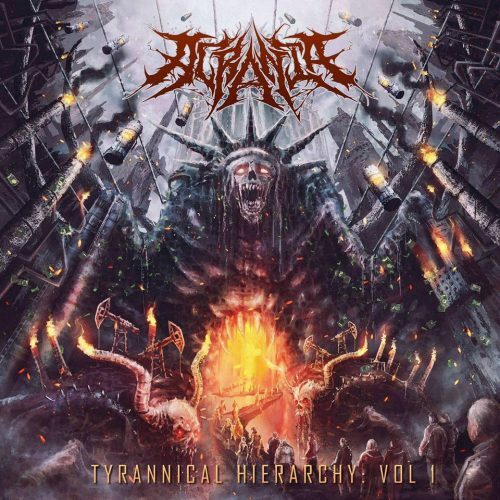 This is a band, like Pallbearer, Spirit Adrift, Gorguts or Doomstress who keep metal exciting and worth it for the undying zombie bloggers out there like myself. 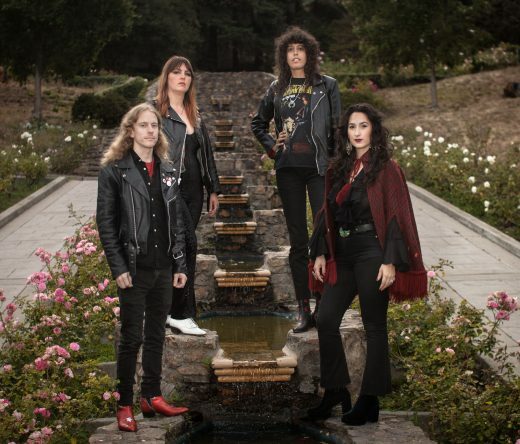 Now the Virginian crushers have announced North American tour dates throughout August and September. The band will perform headlining concerts from August 5-17 then appear at the third annual Psycho Las Vegas the weekend of August 18-20. 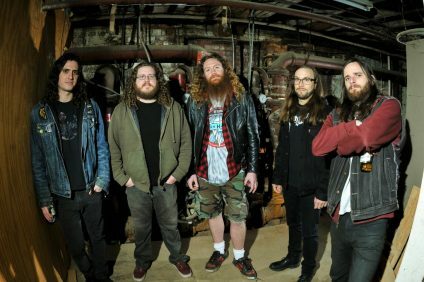 Afterward, INTER ARMA will provide support for Pelican from August 21-26 with additional headline shows to follow. Tickets go on sale this Friday, May 5. All confirmed tour dates below. 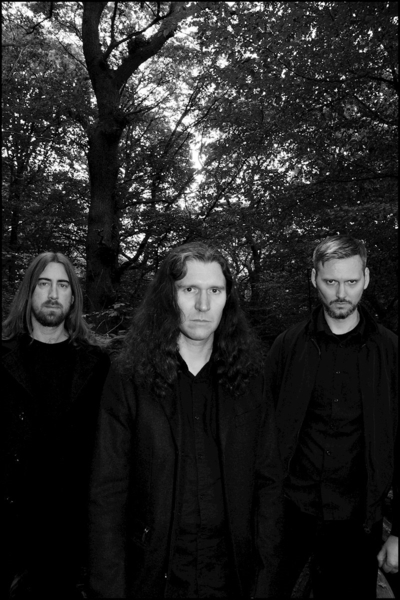 Additionally, INTER ARMA has shared a trance-inducing video for the title-track from 2016’s critically acclaimed full-length Paradise Gallows. Watch the video, directed by Jordan Vance. Check out the new video and tour dates BELOW. 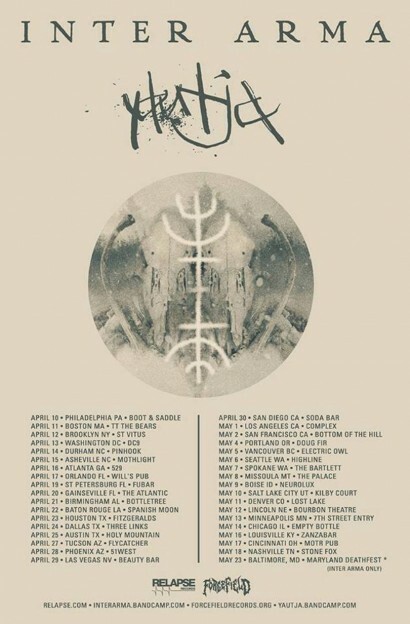 Richmond, VA genre-destroying metallers INTER ARMA have announced a five week North American Tour with deliciously dark, Nashville metallers YAUTJA. The dates kick off April 10th in Philadelphia, PA and end May 18th in Nashville, TN followed by a stop at the renowned Maryland Deathfest. 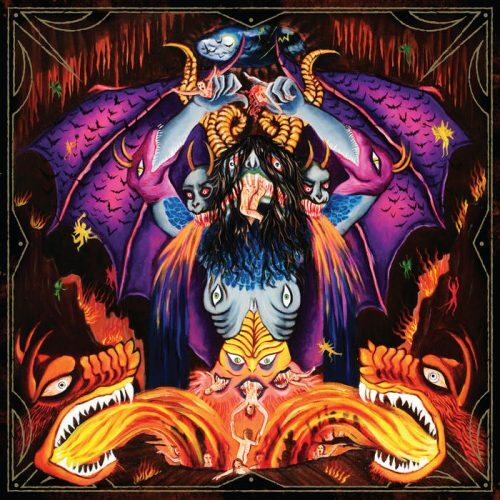 INTER ARMA recently released a critically acclaimed 45+ minute, single song EP entitled The Cavern. 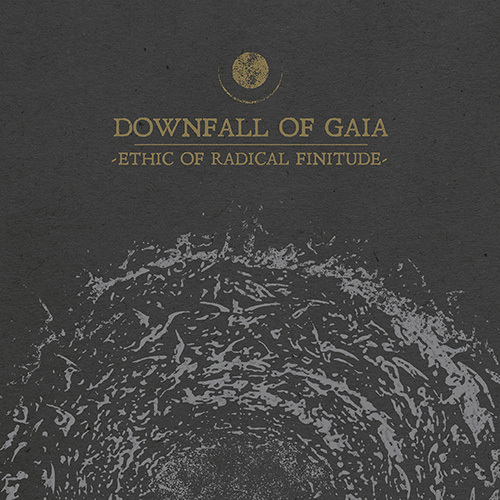 Originally written during the summer of 2009, but reworked and perfected over the last few years, The Cavern was recorded in 2013 during breaks from the relentless touring the band did with the likes of Baroness, Russian Circles, Ulcerate and numerous others. 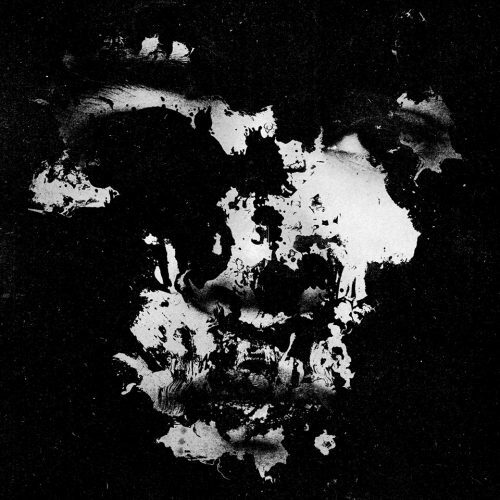 The recording was captured with producer Mikey Allred at Dark Art Studios in Madison, TN, the same surroundings and setup that captured 2013’s monolithic Sky Burial. Both records can be streamed via their official Bandcamp HERE. 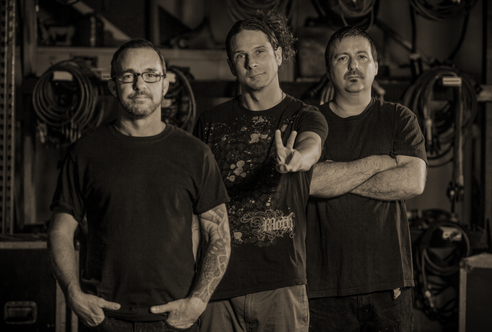 Check out the Metal Riot review of recent awe inspiring 45 minute song The Cavern HERE. 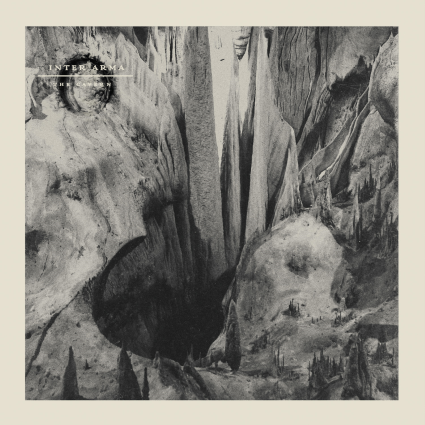 The Cavern from Inter Arma is one of those large scale, post-Dopesmoker massive tracks that more ambitious artsy metal leaning types sometimes aim to compose these days. USX’s haunting and determined The Valley Path is my favorite ambitious one track long player of recent years, though Lesbian’s tripped out Forestelevision also comes to mind as a good one (except for the ridiculously silly the first time and annoying the next fake King Diamond part in the middle). 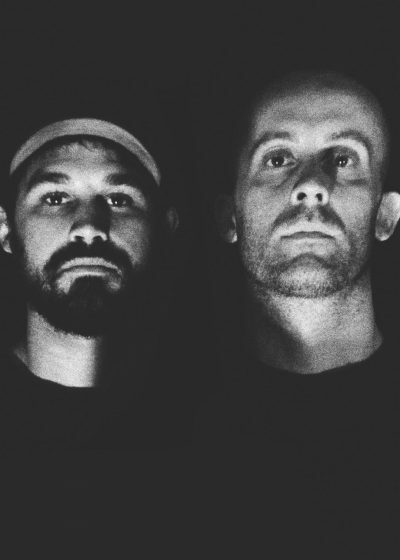 Long story short, a lot of doomy bands seem to be making one “big statement” type song the last few years, but they have usually been worth indulging. 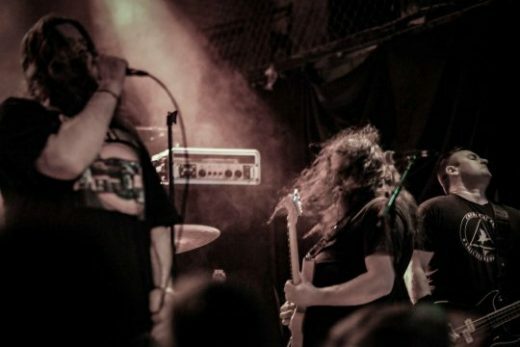 Inter Arma are hot on the heels of Sky Burial with this 40+ minute epic bump on the head. 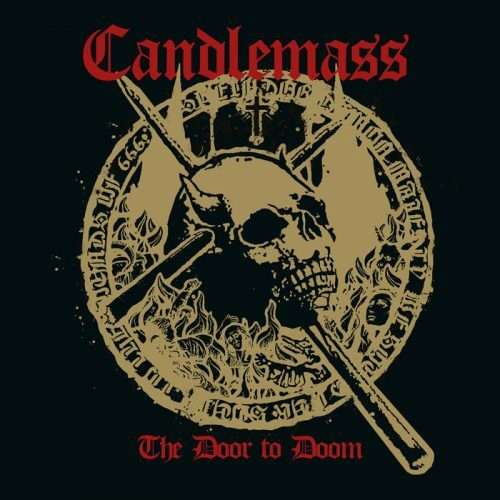 A pretty somber descent into the depths of sludge, brawny unified dark rock riffs and the new trend of Americana referencing black metal, the record nonetheless is more solid than scattershot. The performances feel more in tandem to the larger whole than haphazard, a slow and patient allowing of yourself down into the maw of this cavern with occasionally rapid and terrifying plunges.